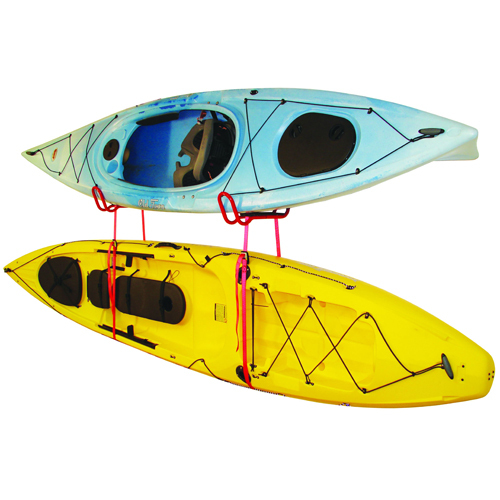 Malone Kayak Storage Racks work well indoor or outdoor. Malone Kayak Storage Racks bolt to the wall of a garage, basement or exterior surface and hold 2 kayaks. 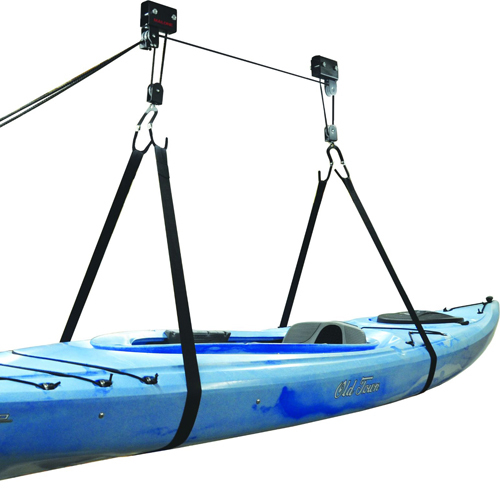 The Malone J-Dock Hybrid 2 Kayak Storage Rack stores 2 kayaks. The J Dock Hybrid includes two J-Dock support cradles, two 12 foot load straps, two gear loop straps, and four mounting bolts. 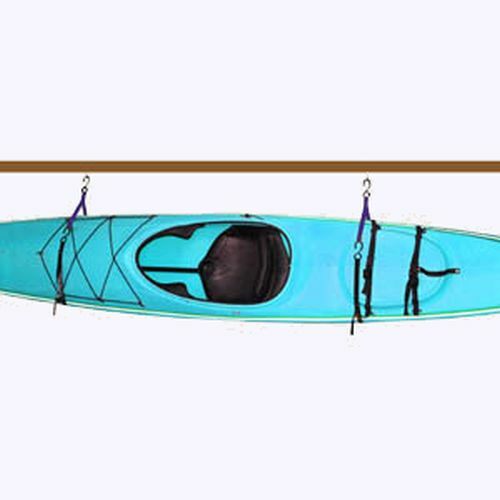 The Rack Warehouse offers an inexpensive alternative: the Single Kayak, Surfboard or Windsurfer Hanging Storage System. Be sure to check out our Awesome Deals! page for great prices on close-outs, returns and display items.